Ok, I’m sure by now you all remember Dima, the first of “my angels” for whom who God chose to answer my prayers for a family. I’m sure by now you’re also rather tired of this picture… Yes, I can hear you all thinking “Doesn’t she have any other pictures of this child?? ?” Well, that’s what I’m here to tell you… I do!!! 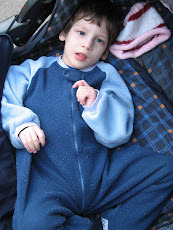 Recently another family was able to visit Dima at his orphanage and get some new pictures of him. The thing is, I can’t show them to you… yet. Dima’s mom, is doing a really neat fundraiser right now with the help of fivedollardots.com. Dima’s new picture is hidden under a bunch of dots which are being “sold” for $5 each. With each dot “purchased”, a tiny piece of his new picture is revealed but not until all the dots are sold will you be able to see it in its entirety. I have a confession to make though, Dima’s mom knew that the wait would just about kill me and so she sent me the pictures… I didn’t realize she was going to do that but I’m glad she did because now I can tell you, after seeing it with my own eyes, that the smile on Dima’s face as he plays with the toy that his mama sent him is worth a million dollars. 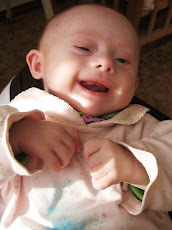 And, well, it kind of needs to be… Dima’s family has been working hard to save and fundraise but it has not been easy. All the necessary paperwork is coming together and they could be given an appointment to travel in as little as a month. The problem is, they still have approximately $19,000 to raise before they are fully funded. It’s a huge, overwhelming number but please don’t let it overwhelm you to the point of feeling like there is nothing you can do. I have seen families receive $20,000 in a week, $12,000 in a single weekend, $8,000 in just one day. God is faithful and I know that He will provide. I also know that Dima’s family will not give up, no matter how long it takes but I’d hate to see a lack of finances cause Dima to wait one day longer than he has to. You may not have a lot to give but I have learned that every 5 or 10 dollar donation adds up, they do make a difference. To buy dots and help uncover that million dollar smile click here. You can also donate directly via their blog or their family sponsorship page with Reece’s Rainbow.